Use the PuckPedia Buyout Calculator to see the cash and salary cap impact of a buyout. When you want to know what the impact will be of buying out a player on your favorite team, simply visit any of the Players' pages and select the year of the contract you wish to buy out. Or, head over to the right side of this page to select a player's name from the menu. For more information on how Buyouts work, Ask The Capologist. Why do Teams Buy Out Players? A team may choose to buy out a player if it means that they can spread their cap hit out over a period of time, thereby reducing the cap hit in the short-term. A player's age, when the team buys them out, as well as their structure are all used in calculating the buyout ratio. For players who are 26 or older, a buyout is 2/3 of the remaining salary owed on the contract. For players who are under 26, a buyout is 1/3 of the remaining salary owed on the contract. All buyouts are spread out over twice the remaining years of the contract. How Does a Buyout Affect Signing Bonuses? Players receive signing bonuses regardless of the buyout. This means that when calculating the buyout amount and cap hit, signing bonuses are excluded. >Add together the Original Cap Hit and the Contract Signing Bonus for that year. Subtract the Contract Total Salary for that year (base salary + signing bonus). >Finally, add the Annual Buyout Cost as calculated above (2/3 of the remaining contract divided by twice the remaining years of the contract). Buyouts can start either on June 15 or 48 hours after the Playoffs finish - whichever comes later. The buyout period wraps up on June 30th at 5pm Eastern Standard Time. In some instances, teams may receive an additional buyout window. If a team has a player who goes to arbitration and it is either settled or awarded, the team will receive a new, 48-hour buyout window that starts 3 days after arbitration has been settled or awarded. As part of the buyout process, the team must notify the player and place them on unconditional waivers. Once the waivers have been cleared, the buyout is complete. Is there Anything that Can Prevent a Buyout? Players with new contracts (that have yet to start) cannot be bought out, nor can a player who is injured and who has not given their permission. Find the information you want and need on NHL buyouts with our easy to use buyout calculator. 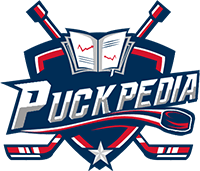 Don't forget to bookmark PuckPedia to stay on top of the latest news for your favorite players and teams. Check out our Ask The Capologist section to find out more, ask questions and more!